HP EliteBook 850 G4 is a 15.6-inch offering in HP’s EliteBook range of business-focused laptops. It has been refreshed for improved performance and greater security for 2017, with Intel Kaby Lake processors and HP Sure Start Gen3. Featuring solid construction, the HP EliteBook 850 G4 may qualify for what we may call a slim laptop. But it is nowhere near the slimmest we have seen at a thickness of 19.4 mm. The weight starts at 1.84 kg. Its 15.6 anti-glare LED display has a standard resolution of 1,366 x 768 pixels and comes with optional camera. The screen, also available in touch options, offers up to a Quad HD resolution of 3,840 x 2,160 pixels. A model of the HP EliteBook 850 G4 notebook boasts Corning Gorilla Glass 4 protection. The main improvement in the new HP EliteBook 850 G4 has to do with provision of latest-gen Intel Kaby Lake processors. You can choose a Core i3, i5 or i7 unit, as your bank balance permits. The improved CPUs deliver speeds of up to 3.9 GHz with Intel Turbo Boost technology. You can get the HP EliteBook 850 G4 with up to 32 GB of DDR4 RAM for truly exciting level of responsiveness. Integrated Intel HD Graphics 620 sees to respectable graphics performance. You can also have an AMD Radeon R7 discrete graphics card in the mix to bolster performance. The HP EliteBook 850 G4 offers a variety of options for storage. It supports dual drive enabling the use of a zippy SSD to run the system and a colossal hard drive for storage. HP EliteBook 850 G4 runs on Windows 10 operating system out of the box. Ports and interfaces include two USB 3.1 Gen 1 ports, one USB Type-C port, one DisplayPort 1.2, and one VGA port. This enterprise-ready notebook offers seamless online collaboration. It features dual speakers alongside Audio by Bang & Olufsen, HP Audio Boost, and integrated dual-array microphone. There is optional HD (720p) webcam as well. Among the enterprise-focused features on offer is the updated HP Sure Start Gen3, designed to self-heal the BIOS if it is tampered with. HP EliteBook 850 G4 laptops are not yet available Nigeria, Kenya, and Ghana. 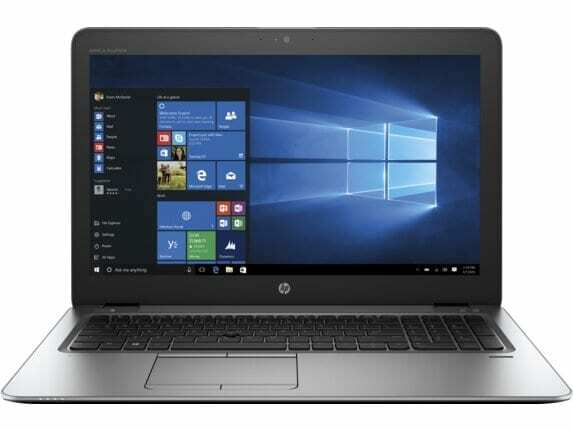 The HP EliteBook 850 G4 price in Nigeria is expected to start at around 390,000 Naira, depending on your location and the configuration of the laptop. Price in Ghana is expected to start at around GH₵ 6200. HP EliteBook 850 G4 price in Kenya starts at 165,999 KSh.